Asta Sterling Silver Tree Of Life Personalised Key Rings have a solid sterling silver tree of life charm and a solid silver ring for your keys. The key ring can be personalised by adding an engraved sterling silver 12 mm disc charm. 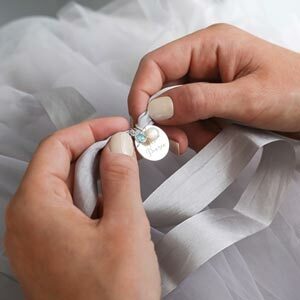 In addition you can add some sparkle by including a pretty swarovski crystal birthstone charm. 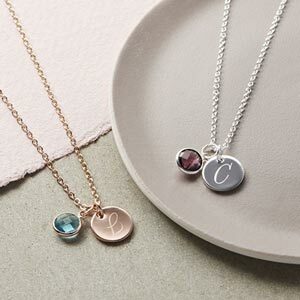 You can add further decorative charms or initial charms for the perfect gift. Why not add luxury packaging for the perfect gift! Beautiful engraved. They only thing was it did not arrive in christmas gift box as ordered.